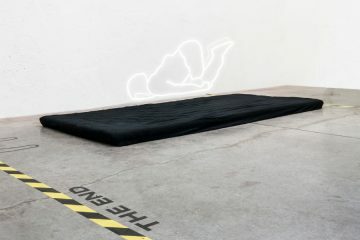 ELEKTRA showcases artists and works that fuse art and new technologies, and that are connected to current, contemporary aesthetics of research and experimentation. ELEKTRA’s events and activities provide the ideal opportunity for artists, as well as artistic creators of new technologies, to promote their work. ELEKTRA is transdisciplinary. 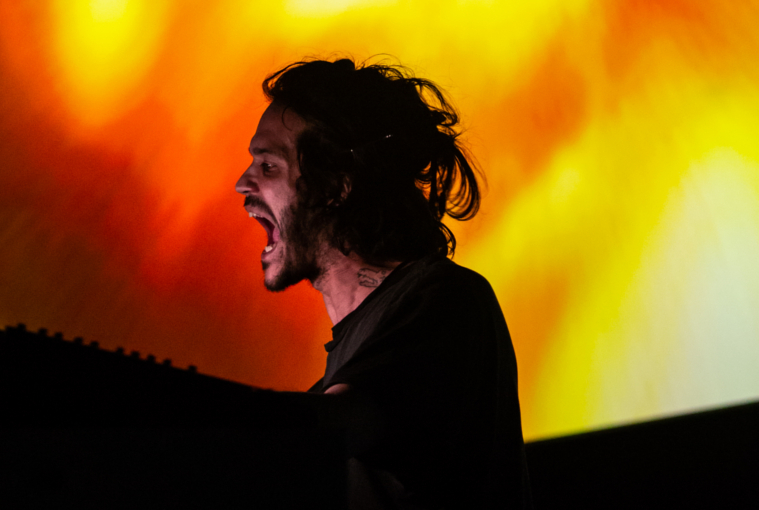 It bridges the divide between artistic groups, creating hybrids between different disciplines: music, video, visual arts, cinema, stage, design, gaming, and audio or interactive installations; together with an emphasis on the newest technologies. ELEKTRA key activities are: the ELEKTRA International Digital Art Festival which, since 1999, works to promote the diversity of performance practices, particularly those in audiovisuals and robotics; the International Marketplace for Digital Art (MIAN), a professional event, also open to the public, part of the festival since 2007; and the International Digital Art Biennial (BIAN), launched in 2012. The BIAN is a major exhibition lasting several months, entirely dedicated to digital art. It not only brings together the major contemporary creative spaces in Montreal, but also presents a range of works and contemporary artists, both local and international, uniting under a common theme. The festival and the BIAN make it possible for emerging and established artists of all practices to rub shoulders with researchers, programmers, engineers, and technicians – all with a shared passion for the artistic application of new technologies. ELEKTRA works hard to bring people in the community together with the goal to increase the recognition of works and artists within our discipline. For the people of Montreal ELEKTRA is a showcase of local, national, and global creations. Since 2002, ELEKTRA has been an international ambassador for Quebec talent which it promotes through the presence of Quebec artists in South Korea, Japan, France, Italy, Belgium, the Netherlands, Austria, Germany, the UK, and other countries. ELEKTRA unites and supports emerging artists and art forms across disciplines. 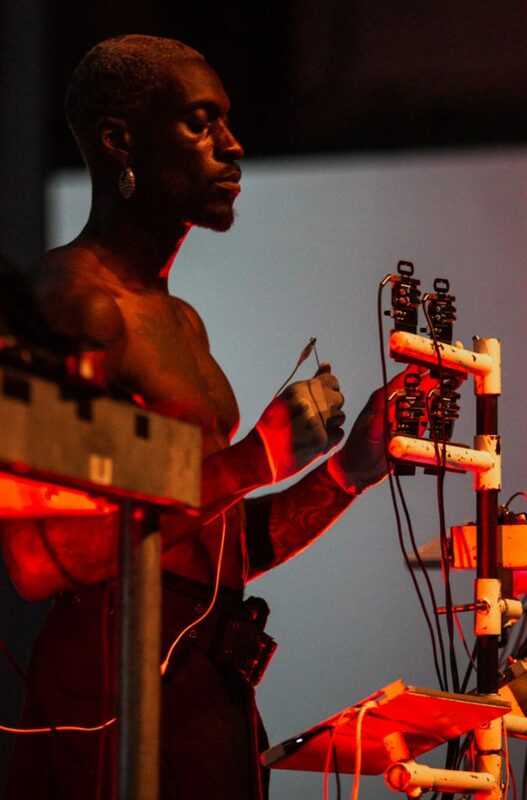 The ELEKTRA International Digital Art Festival has been helping audiences explore the diversity of performance practices, particularly in audiovisuals and robotics. 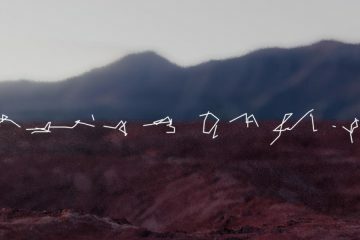 The 19th edition’s theme was AUTOMATA – Sing the Body Electric: ithas taken place from June 26 to July 1 2018 and featured a series of unique audiovisual performances by Alex Augier (FR)& Alba G. Corral (ES) – end (O) and Chikashi Miyama (JP) – Trajectories, following their residencies at the Society for Arts and Technology (SAT). The International Digital Art Biennial (BIAN), is a major exhibition lasting several months and entirely dedicated to digital art. It not only brings together the major contemporary creative spaces in Montreal but also presents a range of works and contemporary artists, both local and international, united under a common theme. 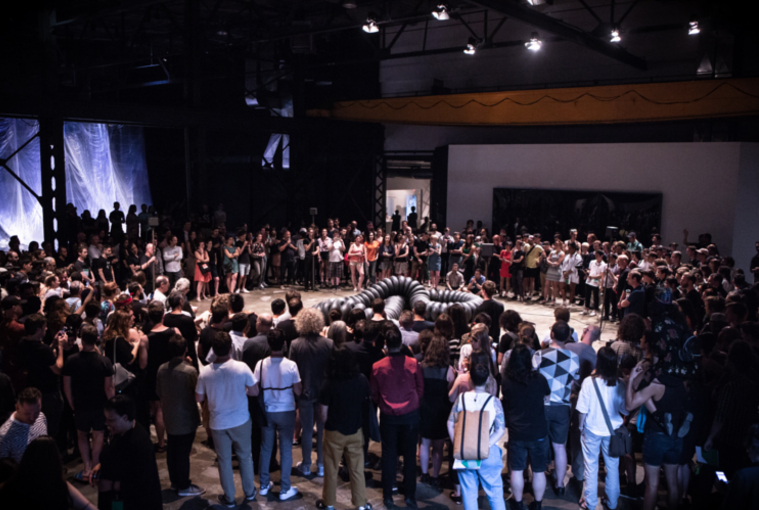 The 4th edition, themed AUTOMATA – Sing the Body Electric, is taking place until August 5 at Arsenal Contemporary Art, a celebrated hub of Montreal culture that is recognized for its high-quality program. The guest curator is Peter Weibel, director of the ZKM – Zentrum für Kunst und Medien, Karlsruhe (Center for Art and Media, Karlsruhe), in collaboration with Alain Thibault, artistic director of ELEKTRA. 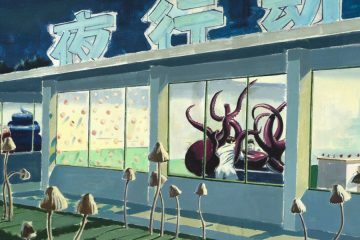 A dozen German artists join up with over 30 international artists from North America, Asia, and Europe to present their robotic, immersive, virtual- and augmented-reality works, sculptures, and digital video for Montreal audiences. 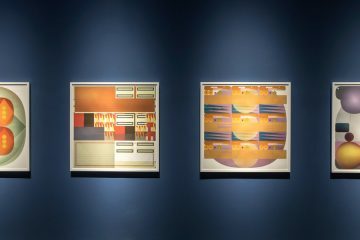 The works in this major exhibition witness to the opportunities and questions arising from technological and digital tools. While the two previous editions have explored the technological landscape of the present and future, this 2018 edition sees a return to corporeality – how the body might be called into question, enhanced, or made vulnerable by technological innovation. The focus is on the human body in augmented and hybrid forms. The title Sing the Body Electric was inspired by Walt Whitman’s best known early work, “I Sing the Body Electric”(1855): a praise-song to physicality that raises questions about the soul and the electrified body, and how its parts interact in explicit or implicit ways, in relations of respect or exploitation. Nowadays, “electrified” bodies interact in many more and new ways, with other bodies and with other systems. In the Anthropocene era, as the dream of the augmented body becomes a reality, it is more necessary than ever before that we question our relationship with different technologies as well as their impact on nature. 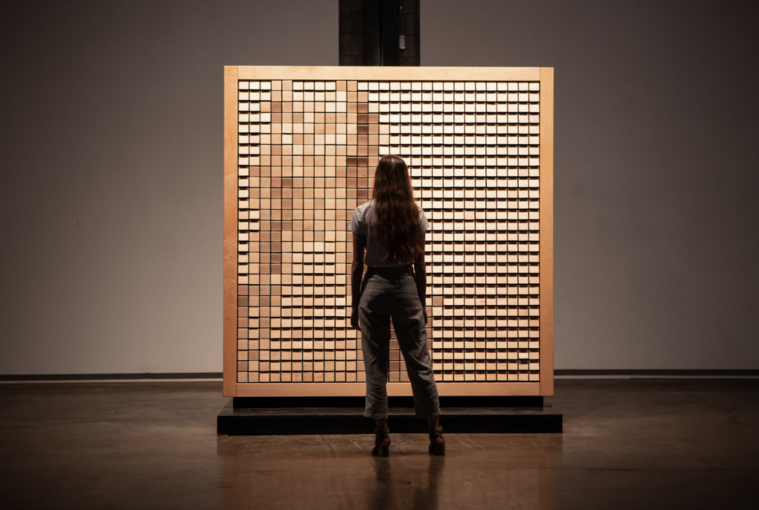 The installation and performance works presented raise timely questions regarding the sociocultural implications of the new relationships of the body with a world increasingly populated by intelligent and adaptive artificial agents. 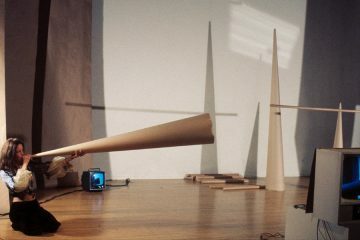 Many artists offer critiques and insights into scientific and technological progress, witnessing to the wide variety of approaches in this domain. The 2018 edition aims to contextualize the union of these diverse practices approaching common themes and subjects. 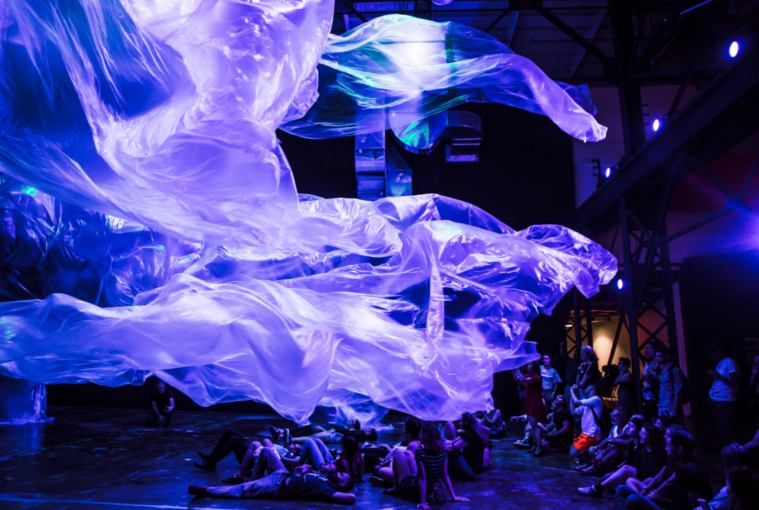 The 12th International Marketplace for Digital Art (MIAN) has also taken place as part of the ELEKTRA festival at Phi Centre, June 28 ad 29. This meeting hosted major international players from the digital art scene, aiming to stimulate our local artists’ outreach, as well as foster exchanges and new collaborations. Since 2007 the International Marketplace for Digital Art has been the program’s professional stream. Artists, collectives, and organizations from Quebec are able to meet with international curators, producers, and exhibitors for round-table discussions on a range of themes related to their practices in visual arts and new technologies. ELEKTRA is also staging a number of satellite exhibitions around the city of Montreal in addition to the main events. A number of iconic contemporary cultural spaces in the city is hosting the projects, including OBORO, Perte de Signal, Centre Lethbridge, Eastern Bloc, Ellephant, Galerie Trois Points, and Vox centre de l’image contemporaine. This year, as part of the 4th edition of the BIAN, ELEKTRA presented for the first time the new Mediation Project, designed both to raise cultural awareness and to develop and solidify new audiences. Via this pilot project and long-term strategy, and in the spirit of sharing and discovery, ELEKTRA focuses particularly on promoting access to arts and new technologies among young people, women, and audiences from the local community. Free mediation sessions are offered to increase accessibility to the exhibition and to introduce audiences to contemporary digital art.